If this was my actual Groundhog Day I’d happily spend hundreds of days there. The new musical from Tim Minchin manages to be both utterly uplifting as well as emotionally affecting. It’s a large Marmot, a relation of the squirrel. 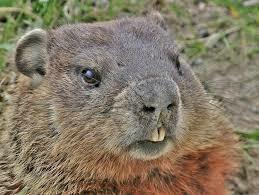 Also known as a Woodchuck. 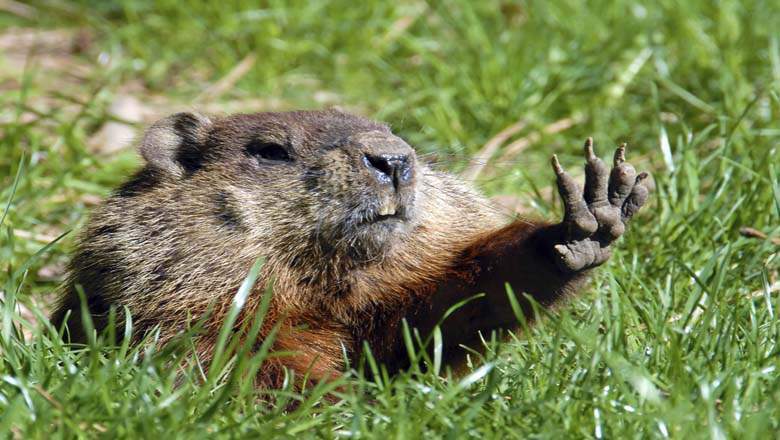 Now we’re all up to speed on our small mammals and folklore…in the film Phil begrudgingly reports on the Groundhog happenings, only to find himself stuck waking up on Groundhog Day seemingly forever. Trapped in a small town purgatory, Phil is angry, then elated, then suicidal until he finally as he says ‘gets it’ and starts trying to put things right in his small corner of the world. And in the process finds himself falling for, and working hard to make himself appealing to fellow journalist Rita. As a story it’s both a redemption tale and a homage to small town life. The deceptively simple premise is ultimately incredibly moving and heart-warming. And in using original screenwriter Danny Rubin to write the book gives a slightly updated and also pitch perfect stage version of his film. Teaming up with Tim Minchin, known for both his own music and comedy and the incredibly successful adaptation of Matlida, gives the book a beautiful, witty and fitting score. Standouts from Minchin are the second act opener ‘Being Nancy’ and the beautiful ‘Seeing You’. The score veers from high energy ensemble numbers filled with witty lines (Phil’s interjection about masturbating in a bath is a memorable one) as well as romantic and affecting lyrics. Alongside a brilliantly written piece is direction and staging that really elevates this production to the next level. 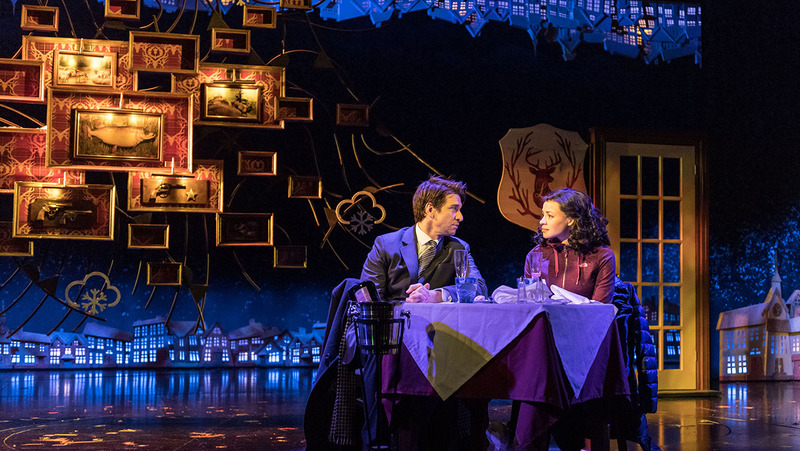 Matthew Warchus’ direction combined with Peter Darling’s choreography against the backdrop of Paul Kieve’s sets create the world of Punxsutawney Pensylvania perfectly. The sets that Kieve creates are beautiful and ingenious. A backdrop of identical houses giving the sense of anywhereville USA, combined with the doll’s house fold out motel room that Phil wakes in every day. Intricate and deceptively simple these sets combined with exacting choreography build the town around Phil and give it a real sense of identity. Brilliant also are the visual illusions when in fast paced numbers Phil reappears in his bed the next morning for another Groundhog Day as if by magic. On a personal nerdy note, I was also utterly fascinated by the costume changes and working out just how many suits, coats and scarves Karl was working with. 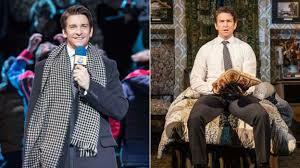 The whole show is held together by Andy Karl as Phil. The experienced Broadway actor takes on both the challenge of Bill Murray’s classic performance, and a potentially unlikeable leading character, and makes it his own, and make Phil a character you want to be better. And when he does, it’s Karl’s performance that makes it all the more rewarding for an audience. Charming, and engaging as an actor he’s also an exceptional musical theatre performer, not just in voice but in telling story through song. 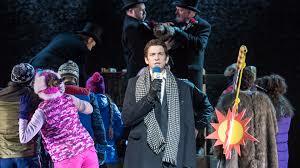 It is Karl’s performance as much as the clever writing and staging that really makes this a stand out musical. The ensemble that make up the town are brought to life by a talented team, with funny and sweet characters making up the backdrop to Phil’s (mis)adventures. And like Phil many audience members start by thinking it is a fate worse than hell to be stuck with these people, but by the end be completely won over by the mish-mash of slightly misfit townsfolk. Coupled with this the lovely love story of Phil and Rita (Played by Carlyss Peer), simple sweet and charming and utterly heart-warming but also feeling very real. It is overall a magical and moving piece of musical theatre. Movie adaptations run the risk of being a ‘by numbers’ arrangement. Groundhog Day feels like something new, which is perhaps the greatest irony-and greatest strength. I left Groundhog Day feeling incredibly moved, but also elated. Much like Phil ends his time in Punxsutawney I imagine. Yes, it’s a simple enough morality tale, a tale about changing yourself to change your life. And maybe yes a lot of us, me included need to learn that lesson, and it makes for emotional viewing. 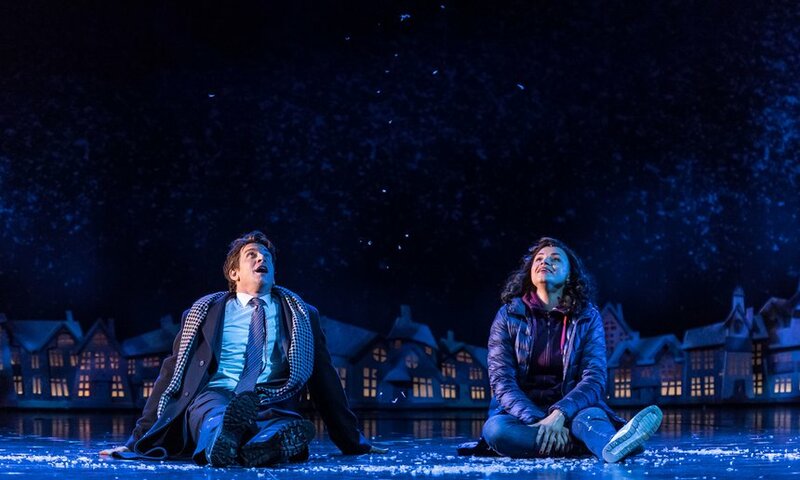 But Groundhog Day is also so uplifting and so frankly joyous at times that it leaves an audience with a real sense of elation. New musical gems are hard to find, but I’d happily live this one over and over for some time to come. 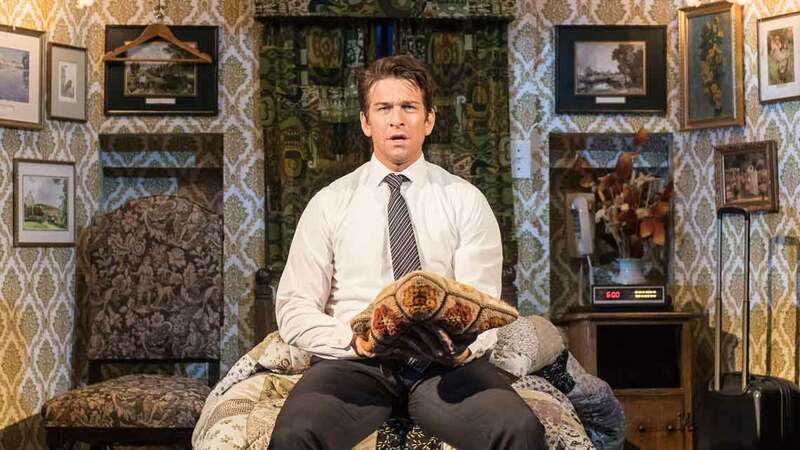 Groundhog Day is at The Old Vic until until 17 September. Box office: 0844-871 7628.